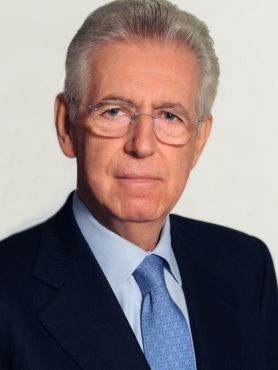 Mario Monti is President of Bocconi University. Since February 2014 he has been Chairman of the High-level Group on Own Resources of the European Union. He was Prime Minister of Italy (November 2011-April 2013) and Minister of Economy and Finance (November 2011-July 2012). In November 2011 he was appointed Senator for life by the President of the Italian Republic, Giorgio Napolitano. Since May 2014 he has been a member of the Académie des Sciences morales et politiques. Also, since December 2015 he has been Chairman of the first Advisory Group to Transparency International EU. 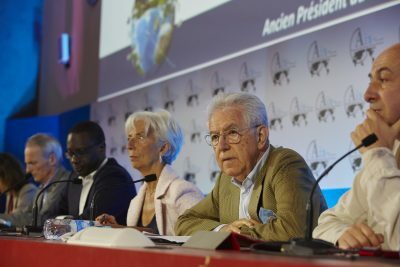 He is a member of the Council on the Future of Europe of the Berggruen Institute and is Honorary President of Bruegel, the European think-tank he founded in 2005. He served for ten years as a member of the European Commission, in charge of the Internal Market, Financial Services and Tax Policy (1995-1999), then of Competition (1999-2004).